The Angry birds’ game centered with a female lead character is on the way. 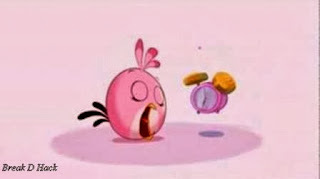 Its alarm time for cute Pinkish Stella and her fans too. Today, Rovio’s game developers officially disclosed that they would release their newly designed by-product “Angry birds Stella” on the fall of this year, without stating its exact release date. This game features heroine Stella, a pink bird along with their lively friends. They designed this product especially aiming at the young girls. This spin-off product will have the loads of entertaining stuffs and adventure. It also deals with the serious problems encountered by these characters in order to protect their friendship and place they live in. They also mentioned that angry birds stella would reach almost every part of the world and it will contain other fun stuffs such as animations, books, toys. More information about this new game will be announced shortly.